This tea&apos;s juicy Georgia peach aroma is offset with cinnamon spices and the smooth (but slightly bitter) taste of Irish Breakfast. If you&apos;ve had a long day dealing with incompetence then give it an extra special kick with a splash of Markers Mark. Steep at 212 degrees for 3-5 minutes or try your own times! 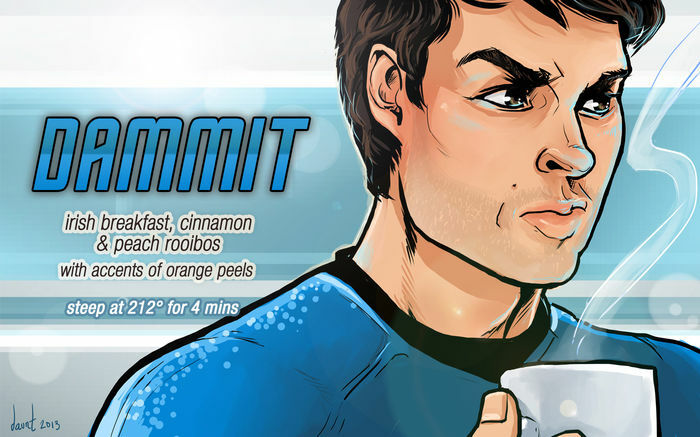 Inspired by the character Leonard McCoy from the 2009 Star Trek movie. 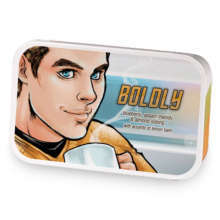 DAMMIT has hooked up with BOLDLY. Love DAMMIT? This is just one of 2 teas in this fandom. Check out the whole series.